Represents my fine art paintings, available as originals and prints. and put "Commissions" in the subject. Award: Honorable Mention for Animals "Highly Dangerous"
Award: Best in Show "Friends"
Award: Honorable Mention in Portraiture "The Patriot"
Award: Best Human Figure for "Friends"
"My motivation is to create a vision of paradise that transports the viewer to a relaxing, uplifting place. Paradise is a concept that exists in Heaven, is reflected on Earth, and can be experienced within. 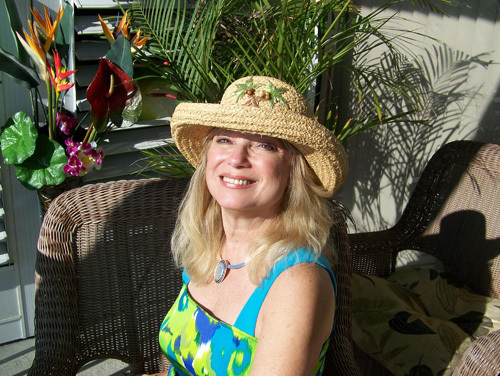 Paradise can be anywhere - it's up to you..."
We accept PayPal. Please contact us to inquire about any painting. 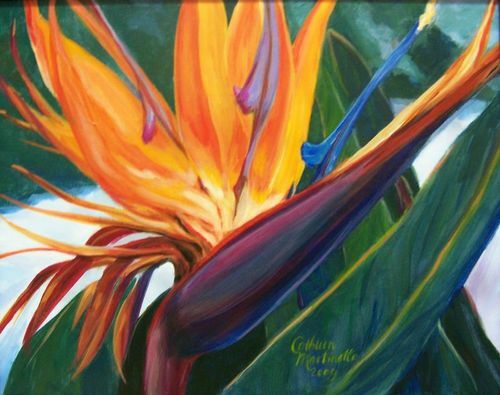 "Bird of Paradise" Acrylic / Canvas 16x20"
All images on this site are the copyrighted property of the artist and may not be reproduced in any form without written authorization by the artist.